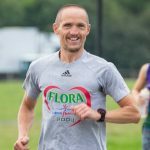 When you’ve been running for as long as I have, and ran as many races as I have, finding a new one can prove challenging, especially when it comes to races in the North East. 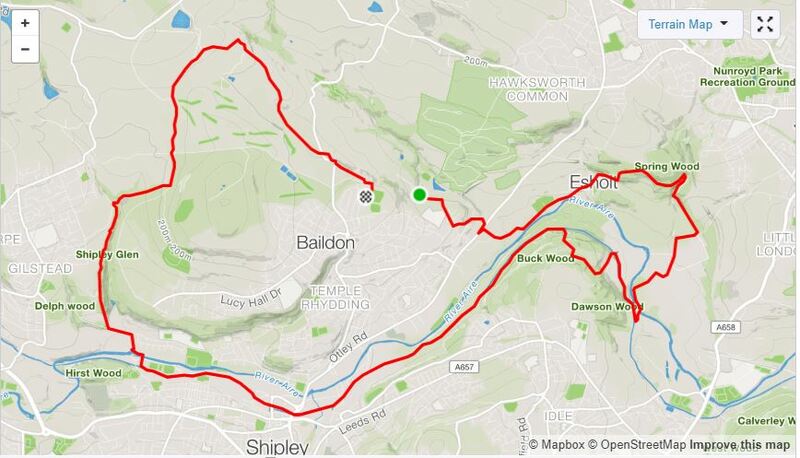 So, casting my net out further afield, I came across the Baildon Boundary Way Half Marathon, a multi-terrain event located slap bang in the middle of North Yorkshire. Either way, I was sold, and put in my entry. The event celebrates its 25th Anniversary this year, and in a touching moment pre-race, organisors presented mementoes to the male and female winners of the inaugural race, both of whom were taking part in this latest offering. I’m sure the warm applause that followed their presentation was made with good intention, but it couldn’t have harmed that it also gave everyone an opportunity to warm their hands in the cold conditions. After a brief safety talk, which basically asked runners to avoid falling into the canal and avoid getting hit whilst crossing public roads, the race got underway. No mention of headphones. The 13.1 miles circular course can be broken into 3 sections. The first four miles are an undulating affair; along cobbled streets and through woodland. After a particularly nasty climb at 4½ miles the course drops down and then proceeds to follow the Leeds and Liverpool canal for the next four miles. The secret to this section, as I found out to my cost, is to pace yourself and not go haring off along the flat towpath, because the final section of the course involves more ascents, more woodland and a few miles of moorland to negotiate. But if you go into these events in the right frame of mind, and accept you’re going to be pushed to your limit, it makes finishing all the sweeter. Organisation of the event was faultless, and with marshals located at all the strategic points around the course not once did I ever wonder which way I had to turn or which path to follow. Some may find the journey a bit of a schlep for a half-marathon but anyone looking for a good, honest challenging race should make a note of this one. And to cap off a fantastic day I won a spot prize for travelling the furthest distance to the event.